Top agents are making impactful declarations of loyalty as the high-tech brokerage Compass introduces itself the San Francisco landscape. Its new additions include Malin Giddings and her team from Coldwell Banker and Neal Ward, the no. 1 agent from McGuire Real Estate. 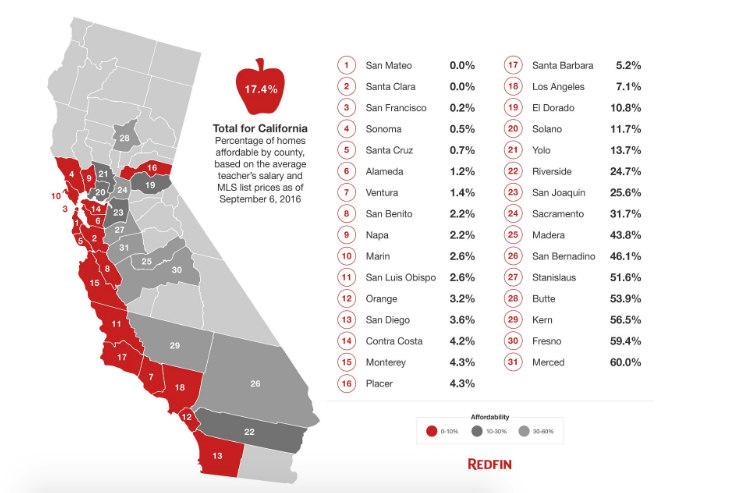 Although the California holds a record for rising incomes, there’s still a large disparity between teacher wages and housing costs. The average home in the state costs well over $500,000, according to Redfin. But the website’s Chief Economist Nela Richardson says this is $200,000 higher than what the average teacher’s salary can afford when assuming just 30 percent of their income is spent on housing.